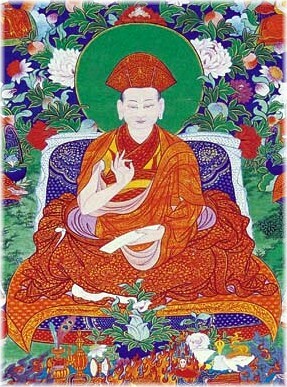 There were two immediate incarnations of Künkhyen Pema Karpo: Paksam Wangpo who stayed in Tibet and Shabdrung Ngawang Namgyal (1594-1651) who went to Bhutan in 1616, where he introduced the Drukpa Kagyü teachings. ↑ see Herbert V. Guenther: Meditation Differently, Padma Dkar-po's 'Definitive Investigation of the Four Tuning-in Phases', Delhi 1992. This page was last edited on 24 April 2018, at 00:15.